Sale, 50% off! Use the code CODELINDSAY at checkout. Announcement Welcome! 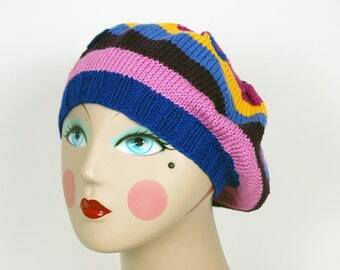 I am planning to close my hat shop on Etsy this spring, so if you like a hat or want one custom made, this is the time. Welcome! 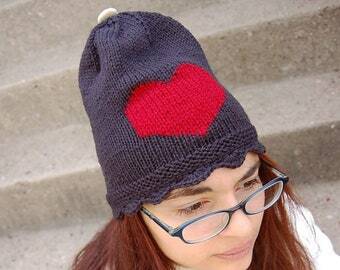 I am planning to close my hat shop on Etsy this spring, so if you like a hat or want one custom made, this is the time. 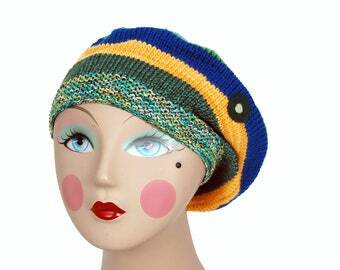 I absolutely love this beret! very comfortable and lightweight, but warm! Shipped in two days, but post office misrouted it, so it took 2 weeks to get here. Lbow studio was just sending me off a different one at her own cost when the package arrived. She couldn't have been nicer about it. Immediate shipment and item came as described. Love it and would purchase again. Thank you so much for the beret, btw how to use the two heart thing, is it a pin? Studying color and pattern in the same manner textile designers have done for centuries - with gouache, not a computer. My stash of beads is extensive. I keep it neatly stored in my great uncle's dental cabinet. Thank you, Uncle Joe! Berets being blocked into shape. At this stage, I think they look like flying saucers. I love to embellish my hats with vintage buttons and buttons obtained from cooperatives around the world. My studio mates love to observe all aspects of production. I love rich, saturated color and I'm betting that you do too. After living for years in Chicago where everyone seemed to dress in the same grey, black, blah tones to match the winter landscape, I decided it would be my mission to add dots of color to brighten things up a bit. 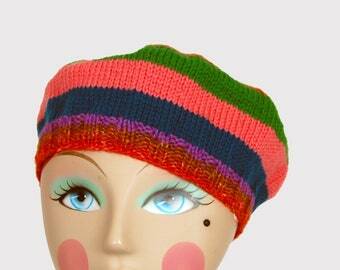 Who can resist smiling when seeing someone wearing a jaunty striped beret? The hats are an extension of my art practice. They are abstracted knitted versions of my gouache paintings. I think of them as knitted sketches. The bead embroideries are part of my first collection of work, many of which now hang in museums and private collections around the world. Lately, I've returned to a love for jewelry making and have developed a thing for all paper bits. Inevitably, these studies and interests are showing up here. When I'm not making something for you, I am designing patterns for you to make your own. These patterns may be found on my blog, as well as in numerous books, magazines and eHow.com. I will soon be selling a few of my more complicated designs here - so stay tuned on that one! I love to do custom work, whether a large bead embroidered panel for your living room or a pair of baby booties to give. Convo me if you are interested. Don't forget to "like" my Facebook page! I occasionally feature discount coupons on it, as well share my joy for all things textile, fashion, craft, food and chocolate related. The textile arts are my passion. I am rarely without "my work" as my Gam referred to her own knitting and embroidery. When not making something in the studio, I'm teaching and sharing my passion with others. I take great care in making you well crafted beautiful items that you may enjoy for many years to come. ALL SALES ARE FINAL! I know that buying a hat online may be a daunting ordeal. You don't want hat hair, but you don't want it too loose either. If you have a question, convo me in advance of your purchase. I am happy to answer your questions. As I've been making and selling hats at shops, craft fairs and online for nearly a decade, I know I can help you get the right fit for you. All sales of art are final. I accept payment through Paypal and Etsy's direct checkout. Payment is required immediately upon placement of your order. Cancellations are not accepted past 24 hours of placing your order. St. Louis sales tax (8.491%) is charged on all Missouri orders. The rest of you are lucky. U.S ORDERS--All U.S. orders ship United States Postal Service by Priority Mail. Hats and books are sent in padded envelopes. Jewelry is sent in a box and paper ornaments and gift tags are send in an envelope protected by cardboard. I am not responsible for lost packages, nor do I give refunds for lost packages or incorrect delivery address. If you would like your package to be insured, please include this in a note to me when you place your order and I will adjust the shipping charges accordingly. Fine art is shipped UPS and insured. The insurance is covered by my personal marine insurance policy. I cannot ship art to a PO Box. A signature will be required. An email containing confirmation and a tracking number will be sent to you as soon as your package has been shipped. INTERNATIONAL ORDERS--All international orders ship First Class International Mail. If you would rather me use USPS International Priority Mail, which is more expensive but faster, please let me know before your purchase & I will create a custom listing with updated shipping charges. If you would like your package to be insured, please include this in a note to me when you place your order & I will adjust the shipping charges accordingly. I am not responsible for lost packages, nor do I give refunds for lost packages or incorrect delivery address. All duties and customs fees are the responsibility of the buyer. The shipment of fine art internationally is a trickier matter. Please convo me BEFORE your purchase, so I may research proper requirements for your respective country. Everything is handmade by me. All fiber content is posted on the individual listings. 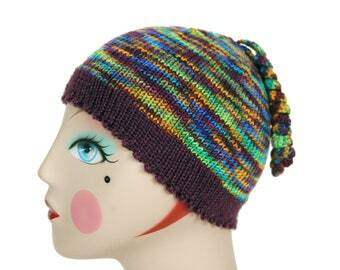 My hats are knit with a finer gauge yarn for durability. All hand knit items may be hand washed and air dried when needed. Do not machine wash or dry. Berets may be reblocked. If you are uncertain as how to do this, no worries. Send me a convo and I will send you directions. WHOLESALE: I take orders for my jewelry, sachets and paper products, but at this time don't have the capacity for wholesale orders with my hats or fine art. CONSIGNMENT: I love to do consignment and am more than happy to talk to you further about an arrangement. Just convo me. CUSTOM ORDERS: All custom orders for Christmas must be placed by November 1st. Art may also be custom ordered. I have made pieces for universities, hospitals and private residences. All custom fine art orders for Christmas must be placed by August 1st.